The number one question we get from prospect buyers is “why are you selling?”. This is a reasonable question that all of us always ask ourselves when looking at purchasing a property. It comes from wondering if there’s something wrong with the place, and also it is just plain curiosity! Our first reason for selling is regarding health. Before making the “big move”, don’t forget to spend some time researching and exploring all that is health related. 1- How am I doing personally? 2- Do I have insurance that will cover me abroad? 3- What health care is available in the country I am moving to? If you currently have insurance, you need to ensure that they provide ‘worldwide’ or ‘overseas’ coverage. Many insurance companies do not offer it, or have different range of restrictions and exclusions. They might tell you you’re covered, but for how long? Many policies will cover you abroad but they have a maximum length of time that you are allowed out of the country until the coverage stops. If you don’t have insurance, it is easily available to purchase online. Take time to do some research and there are good resources over the internet. A site I like is Insurance To Go as they give you a comparison table of their different plans, coverage, premiums, limits and deductibles. Many other websites out there will also give you that information. Now be ready for the questionnaire people. This is 2008 and it shows! On one questionnaire, they asked; “Have you ever had a headache. If yes, explain below”. Now, can anyone answer ‘no’ to that? So here it is… if you answered ‘no’, you lied and that can be used for refusing to cover/pay a claim. Now if you answered ‘yes’, that can be used for refusing to cover/pay a claim on the grounds of ’pre-existing condition’! Here’s another one; “Do you have any tattoos? If yes, provide size and location”. Hmmm, pretty hard to lie there! So if you do, I imagine any type of blood related illnesses or diseases could be ‘rejected’! And on that questionnaire, they also asked about piercings! But that questionnaire seemed to be unusual. 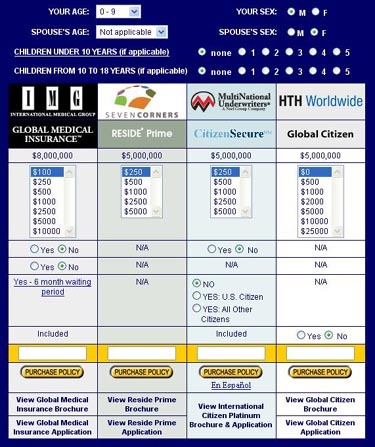 Health insurance applications are generally pretty standard. When studying coverage, do not waste time with little things like a broken arm. Something like that can be fixed pretty much anywhere and paying for it won’t ruin you! Instead concentrate on more important issues such as ’Emergency Air Evacuation’ to the nearest facility in your country and/or their network. In case of such as a car wreck, a heart attack that leaves you immobilized, you might be in need of urgent and special (expensive) care that is not available in the country where you live. Coverage to look more into are those that can ruin you financially such as cancer, liver disease, anything that would require long term and specialized treatments. So don’t fret about a broken leg or a tooth cavity! 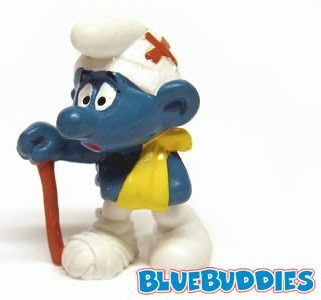 And very important, don’t forget to “always” carry your insurance card with you in case you are alone and unconscious. That can save your life as with this card the medical attendants can immediately call the right place. As for us this being a reason for selling, we have found out we are uninsurable! Well, they will let us pay the premium, but due to some pre-existing conditions it seemed to us that there would be very few things that they would cover. Being in our mid-forties, we have decided that it is something to consider seriously and relocating back to Canada is our safest bet. The other important reason to relocate has to do with telecommunication problems when living in a 3rd world country. Producing And Storing Your Own Electricity, You Have The Power To! The first time you sat at a computer, it was somewhat confusing and a bit intimidating. Then you started and were amazed at how easy it really was. It shows you have a logical mind, which is all you need! Solar energy stored in large deep cycling marine batteries is the way we chose to do it. Your system starts with solar panels, which will collect the energy from the sun. Through electrical wires, this energy is carried to the batteries and stored. By connecting an inverter to the batteries, the stored energy is converted from DC to AC power and then sent to the house standard breaker box. Depending on your location, many Alternative energy stores can do your installation for you. Now, there’s a 7th thing you’ll need… an expert consultant! Make sure that wherever you purchase your components, they also offer tech support (unless you have someone personally). This support can be via email, but better yet through an online forum or group. The Outback inverter works awesome. If you get this type of inverter, ‘make sure’ you also get the ‘Mate’. Without it you cannot change the settings of the inverter. The Mate also gives you cool and ‘must have’ info like battery reading, load currently in use, and other very useful info. -Good old fashion magazine to read when lounging in bed! -The internet, which goes without saying! -Store catalogs, but those who also include informative sections. There are two excellent catalogs that have been a tremendous help; Backwoods Solar Electric Systems in Idaho and EA Energy Alternatives Ltd in Victoria, Canada. -Online forums and groups. Read and follow several of them for a while before joining one. This way you get the feel of which one is more for you and your needs. -Best of all, find someone who already has a system in place. Seeing a system set up and in operation will give you the clearest picture. While gathering information online, don’t miss visiting an Alternative Energy Store. Nothing will ever replace in person consultation, and some stores might be able to match internet prices. I am no expert, but from 1 ½ year ago, when I knew nothing, what I have learned is huge and incredibly rewarding. If you do your homework and ask the right questions, you can do it too! Living Comfortably In The Jungle Of Central America! Life in the mountainous jungle can be very pleasant, but just like anything else, it’s not perfect. We succeeded in setting up a comfortable good size house with full solar electricity, satellite internet, hot water, A/C… yeah, comfort! The climate certainly has great sides. Most people think that the down side comparing to the North American living is that you don’t have the four seasons. Although not as drastic as in North America, there are very distinct seasons throughout the year, which can be seen from changes in the surrounding wildlife, fruit trees which produce at different times, the considerable variation in vegetation, and of course the temperature. Also there is a “wet” and a “dry” season, the dry season lasting approximately from late November through May, and the “wet” pretty much parallels hurricane season, which is June through November. While quite hot, low to mid 90ºs F (32º C) during summer afternoons, as soon as the sun sets behind the mountains it cools off beautifully. This sub-tropical climate is a dream for sleeping. Winter season, nights can get down to the mid 50ºs F (10º C) to mid 60ºs F (16º C). It can get cold enough that you will even close your windows! One thing I miss during that time is my big fleece bath robe which I never thought I would need! Get awakened daily by birds and other creatures welcoming the sun! The temperature remaining cold (I personally use cats as heaters!) until the sun rises over the mountain tops, it is very easy to lounge in your comfy warm bed with a view of the jungle, the mountains and the creek. From the constant changes of the jungle sounds, you can also easily identify the changes in season. The humidity can also be a factor. When transiting from 55º F (13º C) to 85º F (29º C) within a 4 hours range, things have a tendency to get damp! And the things prone to catch mold will! Some of those are leather, or wood not from the habitat. A picture frame made of soft Canadian pine doesn’t do well in this climate! But by afternoon everything is dry again. 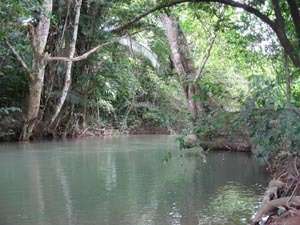 The place I am talking about is Barton Creek in the Cayo District of Belize, Central America. 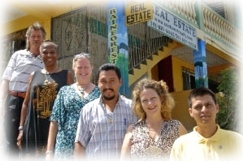 Belize is tucked in between Mexico, Guatemala, Honduras, and the Caribbean Sea. 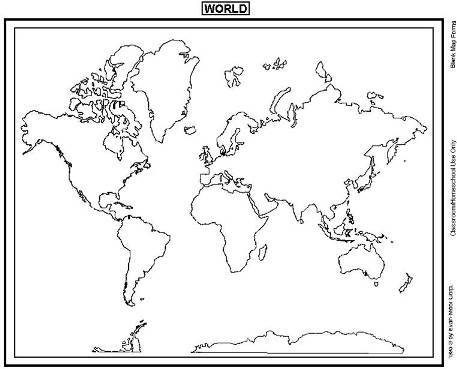 With a total of 8,867 square miles (22,965 sq. km. 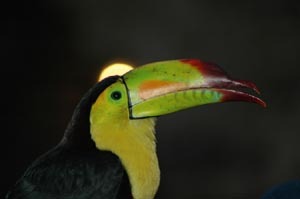 ), it is one of the smallest countries in Central America. With a population of approximately 300,000 there are a lot of open spaces. The population being spread out, there are not many highly populated areas. 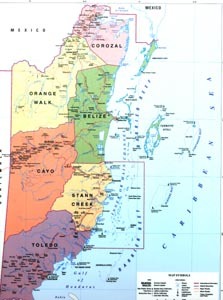 The main one being Belize City which is comprised of just over 1/4 of the population for this entire little country! 1 ~ Producing And Storing Your Own Electricity, You Have The Power To!